LET’S FACE IT, THIS YEAR LOOKED FABULOUSLY STYLISH. WE SUM UP THE BIGGEST BATHROOM RENOVATION AND BATHROOM DESIGN TRENDS OF 2016.This year has inspired many people by all the possibilities of contemporary bathroom design. Everywhere you look or shop, there are many beautiful designs that we wish we have or placed in our bathrooms. 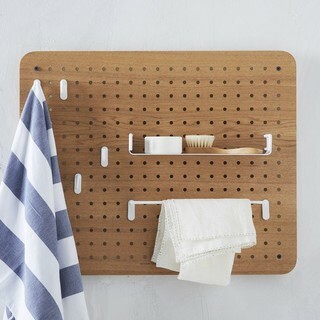 Even shops such as Kmart stock modern contemporary bathroom accessories that compliments many design taste, bathroom renovations or re-designing of your bathroom space that will also suit any budget. Here are some of the best bathroom design trends of 2016. By mondabathrooms – See more Home Design PhotosThe most popular colours seems to change every few years (think of the pink bathrooms in the 70’s). This year however, polished stainless steel made its way out and was replaced by silky or matte black colours. Photo by GIA Bathroom & Kitchen Renovations – Browse contemporary bathroom ideasEverywhere you look, you will notice that Marble was huge this year! 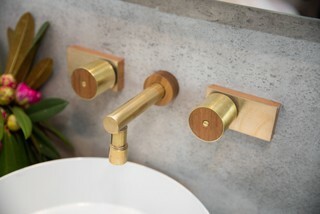 This design trend was also used to add a small touch of luxury and can also blend well with wood. Photo by Chris Snook – Browse transitional bathroom photosJust to be clear, rectangular mirrors are still in fashion, however in 2016, statement mirror made its way on the top of Bathroom Design trends. As you can see, it adds an extra wow factor, style and elegance within a bathroom. Don’t believe us? Here’s an example of before and after. 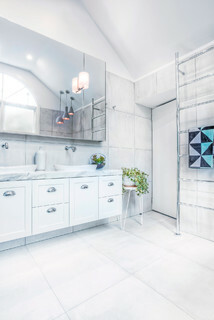 Photo by Reece Australia – Browse Scandinavian bathroom photosAnother design that have been popular this year are bathrooms that feels like a living space. This bathroom design layout have been around for quite sometime now, but are mostly used in hotel rooms. This design style have seen growth in popularity this year and will continue to rise in demand. Not necessarily out of style but chrome has been used less and less this year especially for luxury bathroom taps and shower heads. Colours such gold, matte black, silk black and bronze have been the choice of the year. Photo by Clay Construction Inc. – Discover traditional bathroom design inspirationChandeliers are traditionally used in living areas. 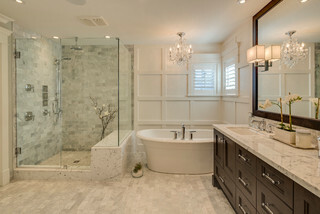 This year however, chandeliers made its way into the the bathroom making this commonly used space look grand. 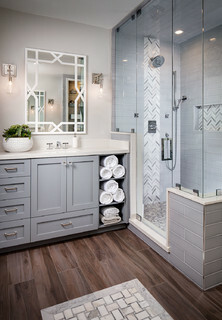 Photo by Jessica Matson Architecture – Discover transitional bathroom design ideasWe left this out until the end. To sum up the trend of 2016, this has got to be the most popular bathroom design so far this year. Floating sink and vanity have been so popular this year for bathroom renovations, new builds and modern apartments.Learning from some of the bathroom design principles of 2016, you can grab some ideas for your next bathroom renovations or for your newly built home. 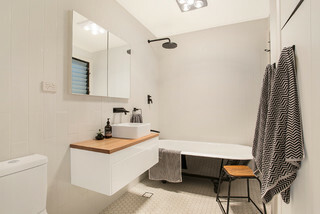 Giuselle Bathrooms can help you choose the right design for your next bathroom renovations in Sydney. We help our clients achieve their dream bathrooms by understanding their design taste, personality and style giving us the most customer satisfaction for Bathroom Renovations services for over 25 years.